The Interactive Web Platform is your one-stop location for tools, resources, education and information (TRIE) regarding everything eHealth! 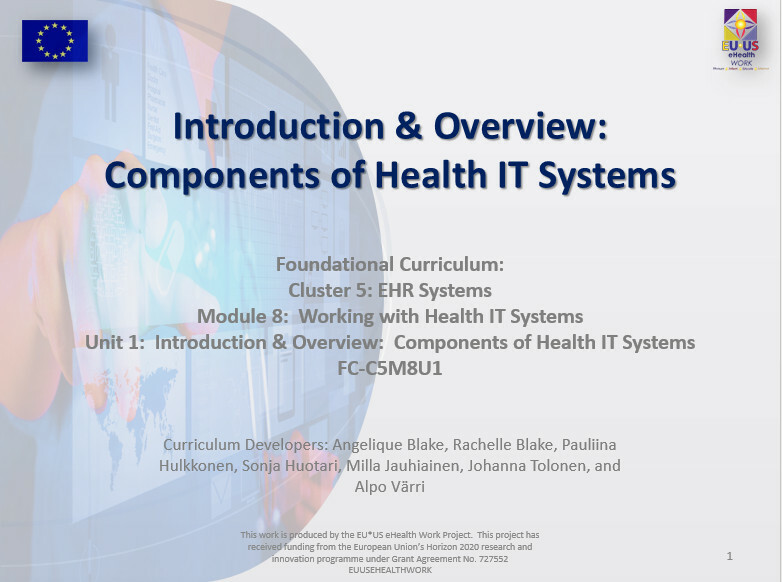 The EU*US eHealth Foundational Curriculum is a global introductory online course in eHealth. It provides baseline and basic eHealth skills (digital competency in healthcare) upon completion. Discover more by clicking on the overview or on the access to units above. 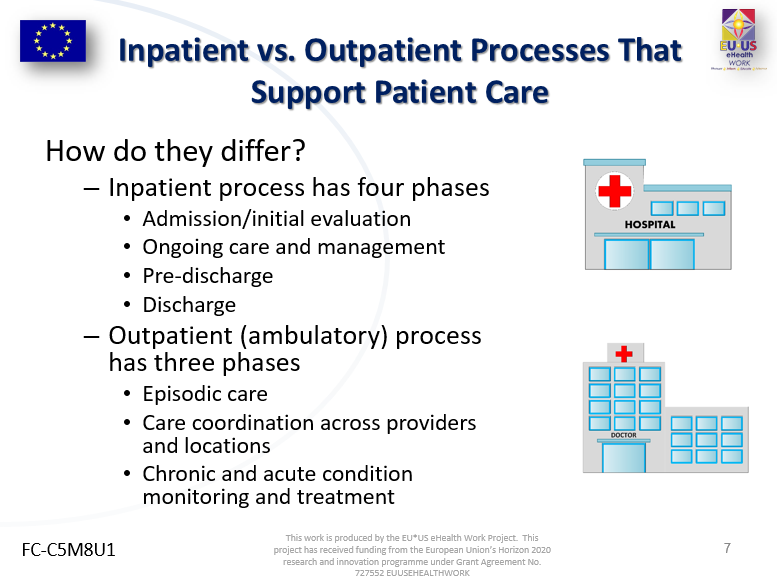 HITComp is a searchable database designed for educators, workforce developers, current and future workforce members, students, eHealth managers, staffing experts and other interested parties in healthcare information technology/eHealth. The HITComp Tool and Repository can be used to compile information on skills and competencies needed for a variety of healthcare roles, levels and areas of knowledge. © EU*USeHealthWork 2016-2017. All rights reserved.